Scientists discover how bacteria grows directly in lungs of cystic fibrosis patients. Researchers from the University of Copenhagen have shown for the first time how bacteria can grow directly in the lungs of Cystic fibrosis patients, giving them the opportunity to get tremendous insights into bacteria behaviour and growth in chronic infections. 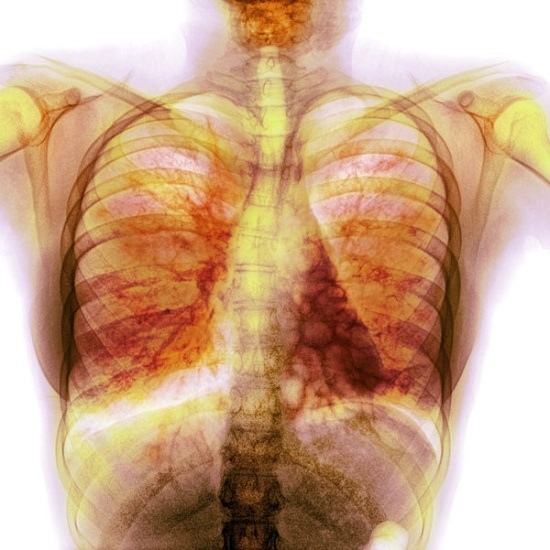 The study also discovered the bacterial growth in chronic lung infections among cystic fibrosis (CF) patients was halted or slowed down by the immune cells. The researchers discovered the immune cells consumed all the oxygen and helped ‘suffocate’ the bacteria, forcing the bacteria to switch to a much slower growth. The researchers were able to measure the growth of bacteria directly in transplanted infected tissue without disturbing the bacterial cells, giving them the opportunity to get tremendous insights into bacteria behaviour and growth in chronic infections. The suffocating mechanism of the immune cells is the first time a bacteriostatic effect of immune cells has been described. The immune cells have up until now thought to only kill bacteria not halt their growth. In addition this helps to explain why the intensive and combinatory drug treatment approach developed and used in the CF clinic at Rigshospitalet, Copenhagen is as successful as it is. The growth of bacteria in chronic infection is poorly understood and up until now it has been impossible to open up the black box. This is all the more paradoxical as the effect of antibiotics are very closely connected to the rate of growth of the target bacteria. Most types of antibiotic are ineffective against dormant bacterial cells yet this study finally opens up the black box and helps pinpoint the best treatment of chronic lung infection among cystic fibrosis patients. Being able to understand bacterial growth will in the future enable clinicians to improve treatment with known antibiotics, combinations or give raise to new targets in antibiotic development. When the team applied this to measure growth for bacteria living in biofilm in explanted lung tissue, they saw a diverse pattern of growth throughout the tissue samples. This was unexpected, so the group investigated possible correlations, and found that high local concentrations of immune cells restricted the growth of the bacteria. Furthermore in vitro experiments supported this mechanism of how the immune cells can remove oxygen and in this way vigorously restrict the bacterial growth. The main goal of the project was to improve the understanding of the bacterial behaviour in chronic infections including CF, and how the bacteria and immune defense compete with each other. The results show that it is possible to study the bacteria not only in shake flasks in the laboratory but directly in the very complex environment in an infection. This is a major improvement for chronic infections in general. On top of this, the new mechanism of the white blood cells is very important to understand chronic infections. It is fair to say that the medical community are on the right track to understanding chronic infections like cystic fibrosis and piece by piece they will solve the puzzle. Coloured chest X-ray (front view) showing mucus in the lungs in a 15 year old female patient with cystic fibrosis (CF). CF is a hereditary disease affecting the lungs in which abnormal production of mucus can lead to severe respiratory infection. Credit: PHOTOSTOCK-ISRAEL/SCIENCE PHOTO LIBRARY.